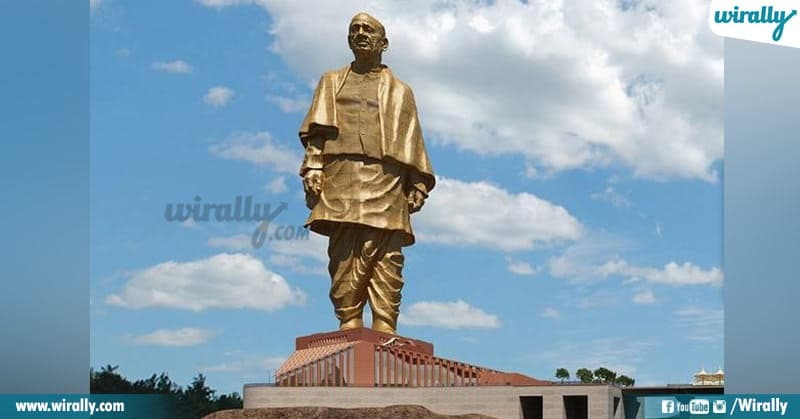 Sardar Vallabhai Patel 143rd birthday anniversary ki gurthu ga ee sari central government Gujarat lo unna Narmada River and Dam opposite view lo 182 metres (597 ft) height lo ee Statue ni Patel gariki ki honor ga ee roju (Oct 31) ki inaugurate chesaru. Independence kosam struggle chestunna Vallabhai patel people andarini gather chesi integrity, unity tho varini britishers ki against ga fight cheyadaniki atanu chesina fighting spirit and unity ki gurthuga ee statue ki “Statue of Unity’ name petti ee project ni start chesindi government. Idi ee world’s largest 182 metres statue venaka assalu story. Ila ee statue venaka unna story lage world lo unna migatha largest statues ki some stories unnai. 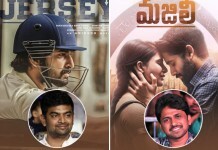 Mari aa other statues and vati venaka unna stories ento check cheseddam. 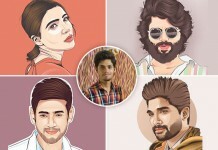 Note: Ikkada some famous statues gurinchi matrame mention chesamu. ‘Statue of Unity’ became the tallest and largest statue by Oct 31st 2018. Statues total height: 208m 58m height of base Ee statue construction ani start chese mundu ‘Loha Campaign’ dwara 5,000,000 kg of iron ni farmers nundi collect chesaru. India lo unna 600,000 villages nundi three months campaign chesi ee iron pieces collect chesaru. Before that nation wide different marathons conduct chesi mari ee statue ni construct cheyadaniki gala main reason people ki aa legendary statesman ‘Iron Man of India’ unity, integrity ane things ni gurinchi cheppadam kosame. 33 months 3,400 members continue ga work chesi 2,989 crores money, 5,700,000 kg of structural steel 18,500,000 kg of reinforce material, steel bars; 22,500,000 kg of cement; 1,700,000 kg of bronze etc huge material tho ee statue construction kosam use chesaru. 2001 lo Afghanistan lo unna 2 Bamiyan Buddhas ni taliban leader Mullah Omar and his other followers kalisi vatini destroy chesaru. 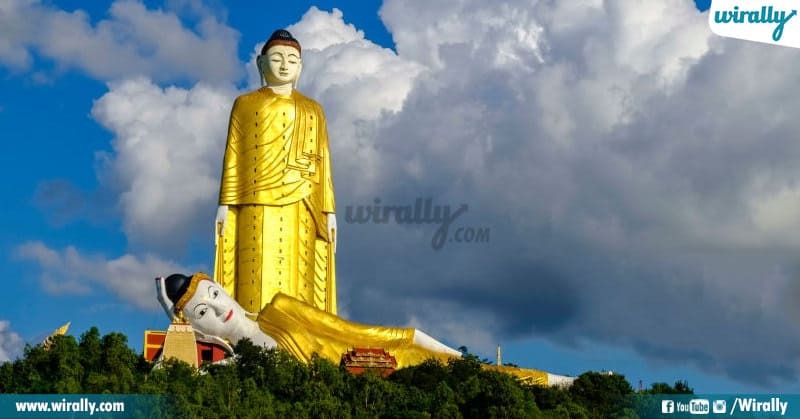 Vatini destroy chesinanduku ganu China government Peace and Buddhism ki pratika ga ee largest buddha statue built chesindi. Myanmar, Khatakan Taung lo 1996 year lo start ayyi overall ga 12 years construction lo unna ee monument final ga Feb 2008 lo complete ayyi inaugruate aindi. Ee statue construction kosam people andari daggara nundi money donations collect chesaru. The statue of standing Buddha hides 27 floors and a special elevator. 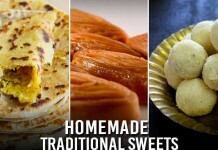 People of France friendship ki gurthuga United States people ki gift ga iccharu. And the statue is said to be a replica of Roman goddess. Torch in her hand reflects ideology of liberty, and broken chain lies at her feet reflects freedom as she walks forward freedom. The statue was built in france and moved to America later. 200 days ‘Battle of Stalingrad’ lo Soviet sniper Vasily Zaytsev 225 he killed 225 enemy soldiers, including 11 snipers. Anduku gurthuga ee sniper ki tribute ga ee statue ni soviet union varu 1967 lo construct chesaru. And it was the tallest statue in the word at that time. 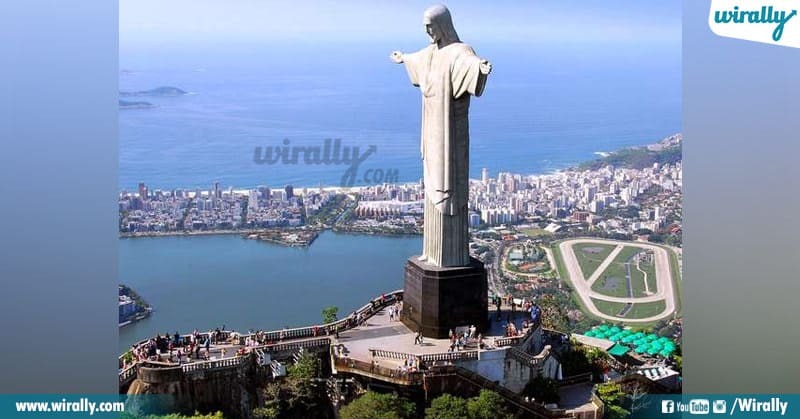 In 1850 to honor Princess Isabel who is a Empire of Brazil kosam church priest okaru made proposal to built christ statue on this mountain but dismissed due to some reasons. Later 1889 the country Brazil became a republic, statue proposal was made but dismissed due to the separation of church and state. And finally The Catholic Circle and other group of people antha kalisi ‘Monument Week’ movement start chesi funds collect chesaru ala ee statue built avadam jargindi. 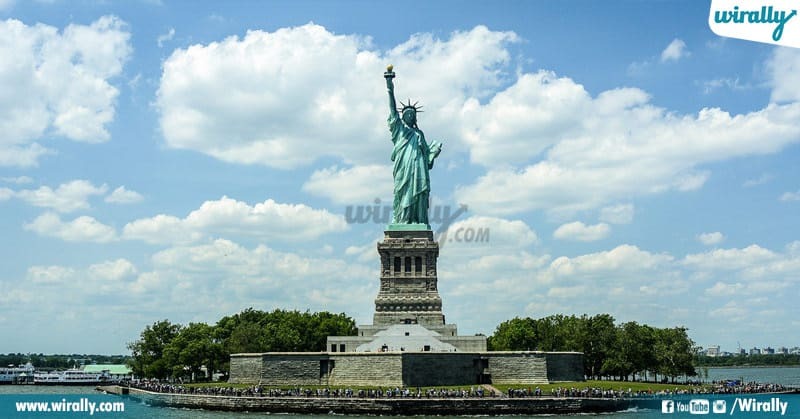 Statue started around 1922 and ended in 1931, the statue is 30 metres (98 ft) high, excluding its 8-metre (26 ft) pedestal, the arms stretch 28 metres (92 ft) wide. 7. 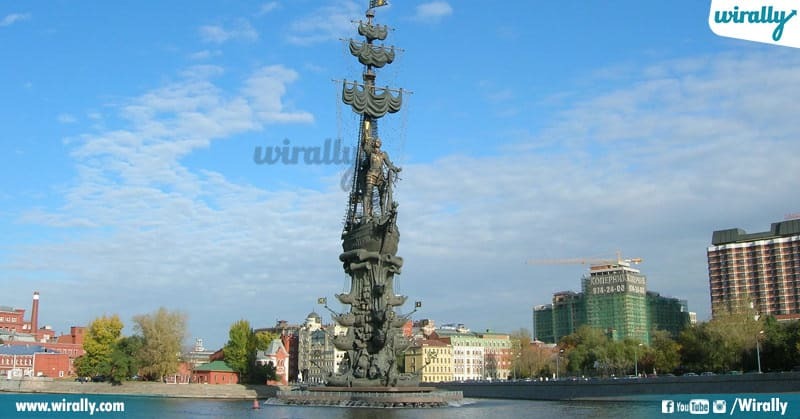 Peter the Great Statue – 98 metres 322 ft – Russia. 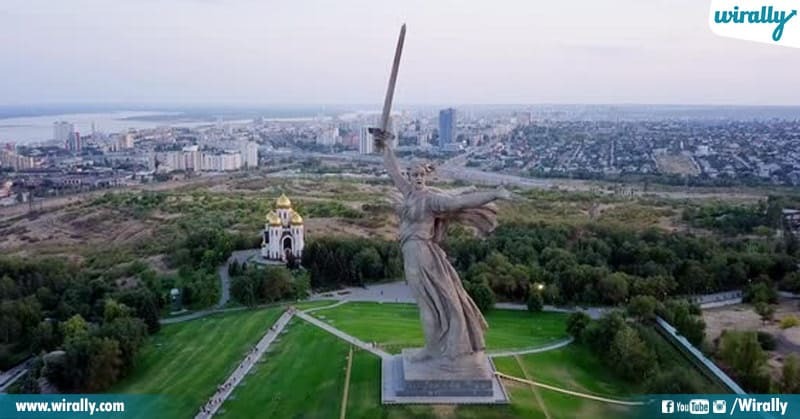 Russia, Central Moscow lo unna ee statue ni Great emperor Peter who ruled Russia over 43 years ki gurthuga ee statue ni 1997 lo inaugurate chesindi russian government. But ee statue chuttu lot of controversy jarigindi and even in November 2008, it was voted the tenth ugliest building in the world by ‘Virtual Tourist’. Peter the Great Statue weighs around 1,000 tons and contains 600 tons of stainless steel, bronze and copper. 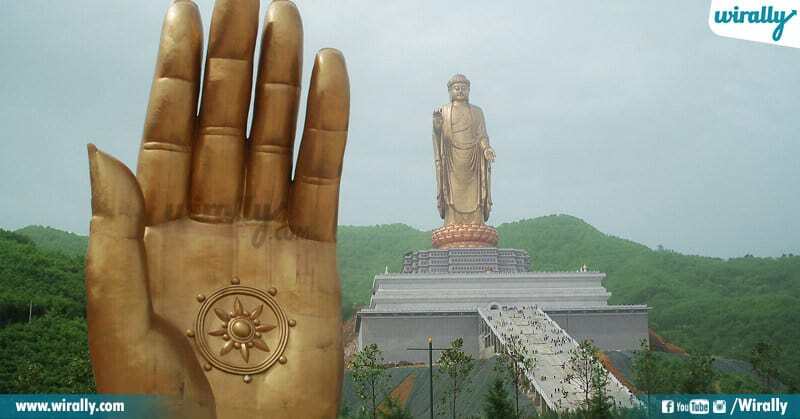 Thailand lo unna ee great buddha statue world tourists andarini attract chestundi. Buddhism lo unna Theravada principles ni follow avuthu ee statue ni 1990 lo start chesi 2008 lo complete chesaru.